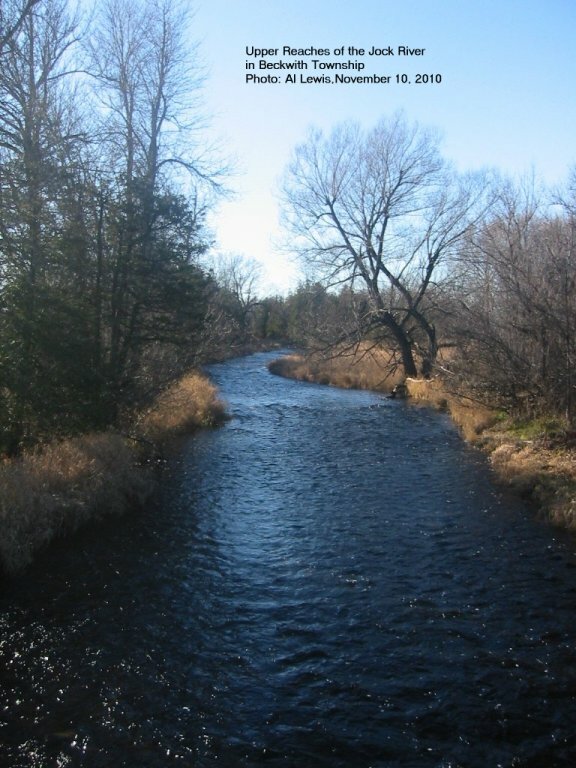 Renfrew County in the Cobden, Westmeath area. In 1879, Hiram Sykes gives his postal address as Ashton. He is a farmer and Deputy Reeve. 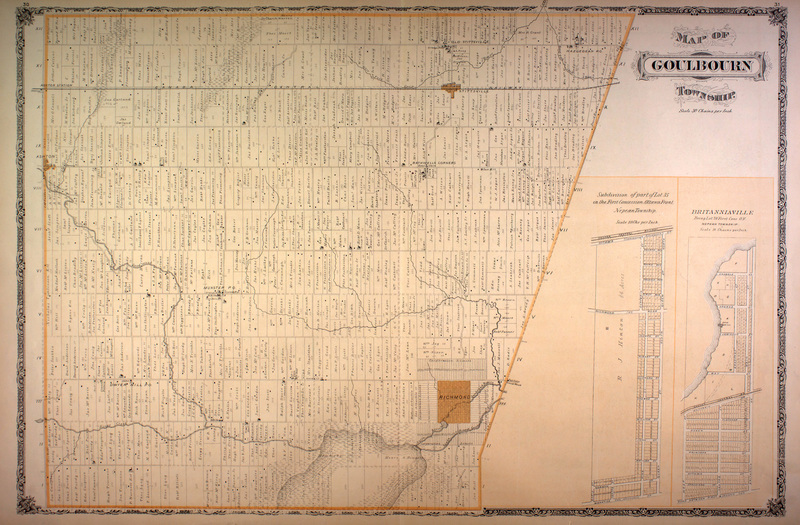 Here is his farm in 1879 - a picturesque location with the headwaters of the Jock River running through it. 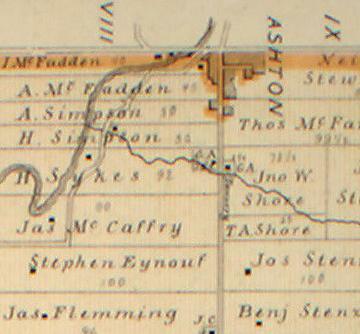 Stephen Eynough, shown on the map above, was the local schoolteacher.